Gift Card Terms and Conditions: Maintenance, dormancy or service fees do not apply. Gift Cards have no expiration dates. Gift Cards are not redeemable or refundable for cash, except to the extent required by laws. We reserve the right to prohibit the purchase of Gift Cards with other Gift Cards. Purchase amounts that exceed the value of the tendered Gift Card will require an additional payment for the balance due. We reserve the right to restrict the redemption of more than $1,000 in Gift Card balances by one person in any 30-day period. Hold your Gift Cards securely and write down your Gift Card number and PIN in a safe place. Gift Cards that are lost or stolen will ONLY be replaced, up to the value remaining, with satisfactory proof of purchase AND the Gift Card number. Call 1-800-THE-BOOK in order to have a loss of stolen Gift Card replaced. 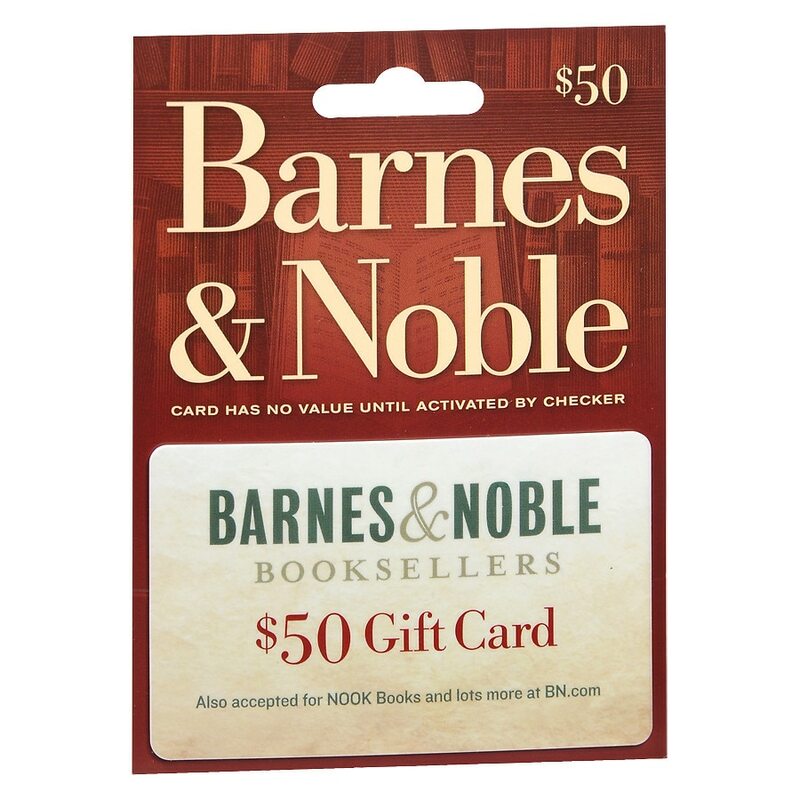 Please see website listed (on back of card) for special rules on how to use Gift Cards to purchase NOOK books, NOOK newspapers, NOOK magazines and Barnes & Noble memberships. In the event that the Gift Card system may become temporarily inoperative, you may be unable to obtain information about the balance on your Gift Card transactions, or use your Gift Card to pay for purchases. DISCLAIMER OF WARRANTIES: You agree that neither Barnes & Noble nor Barnes & Noble Marketing Services LLC (MSL) is responsible for any interruption of service or the quality, safety, legality, or any other aspect of any goods or services purchased by your with your Gift Card or that the Gift Card will be free from any errors or other defects. MSL reserves the right to change the terms and conditions of the Barnes & Noble Gift Card program as set forth on bn.com at any time or to contract with another party to administer this program. MSL may assign this agreement and the Gift Card Program at any time without notice. The waiver by MSL of any provision or violation of these terms and conditions will not operate or be construed as a modification of these terms and conditions or waiver or any other violation..